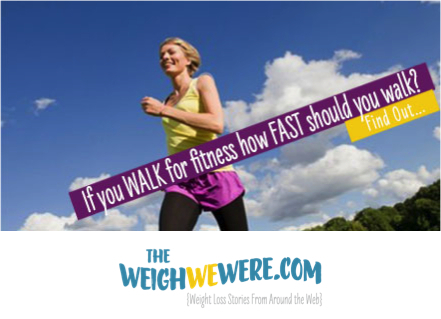 If you WALK for fitness how FAST should you walk? A journey of a thousand miles may begin with a single step, but even if you take just 2,999 more within half an hour, you may be on the road to fitness. A new study finds that people who walk to keep in shape can achieve the right intensity if they take at least 100 steps a minute. The researchers, led by Simon J. Marshall of San Diego State University, equipped volunteers with pedometers that counted their steps as they worked out on treadmills at different speeds. They also measured the participants’ heart rates. A pace of 100 steps a minute or more, they calculated, was enough for the workout to be considered of moderate intensity. The study appears in The American Journal of Preventive Medicine. The researchers noted government recommendations that people engage in moderately intensive activity for at least 150 minutes a week, which can be accomplished with five 30-minute sessions. The problem with pedometers is that while they can give a rough measure of the distance traveled, they cannot show how hard someone is working. But they can be helpful if people use them to count their steps and set a goal of walking 3,000 steps or more in half an hour, the researchers said. They cautioned, though, that the method was still an imperfect measure of how hard the workout was. I make sure I get my 10,000 steps a day. I also walk 100 steps a minute. That is how I went from a size 14 to a size 8/10 in less than a year . Cutting out all juice, drinking lots of water , eating healthier and LOTS of speed walking . I walk 5 miles a day. 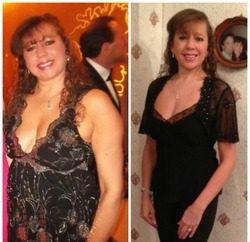 Weight Loss Success Stories: Lorraine Lost 56 Pounds At 50!